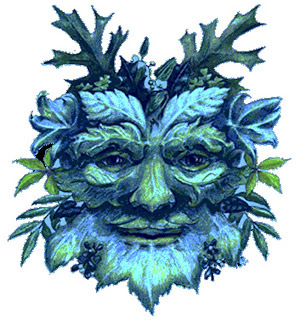 Across the northern hemisphere of Tolrendor, the mid-winter holiday of Yule has been celebrated for years beyond count. From this day onwards, the nights shorten, and the spring thaw will eventually follow. Many say it represents the time when Baltur the Lawmaker enforced the discipline of seasons on the wayward Sun Lord, ensuring that the world would have respite from endless winter. In any case, at this time of year, the constellation known as the ‘Scales’, which is closely associated with the god Baltur, blazes brightly in the northern sky. Weather permitting, it is easily visible in any of the lands north of the Inner Sea. In the cold northern regions, the celebration of Yule marks the last feast before the months of hardship, as deep winter continues its hold on the land, and spring, although heralded as the days lengthen, seems still an age away. The holiday lasts three days: on the first, people gather in extended family groups and exchange gifts, often hand-crafted items made from leather and wood; the second day is a religious day, when local communities gather in their holy places, and their priests and shamans make offering to the gods and spirits, beseeching them to grant safe passage through the coming months. On the third day, wrestling and mock-fighting bouts are held, following by a mass feast where the best livestock are roasted over huge fire-pits, and copious quantities of ale and spiced warm mead are consumed. In the lands around the Inner Sea, where the climate is more forgiving, Yuletide is a season of great parties and tourneys. In Lorondor, the king hosts the Grand Yuletide Tourney every year; knights and paladins from across the kingdom and many other lands journey to compete in five days of jousts and melees. The overall winner receives the title of Yule Champion, which in some years has even resulted in the bestowing of lands and title. Great feasts are provided daily for all citizens, and the queen hosts a Grand Ball on the final knight of the tournament for the great nobles and knights of the realm. Yuletide is also a season of peace, partly because it is often impossible to carry out a campaign of war past this date due to the weather. Treaties often come into force on this date. This entry was posted in Miscellaneous, Tolrendor Gazetter, World Building. Bookmark the permalink.